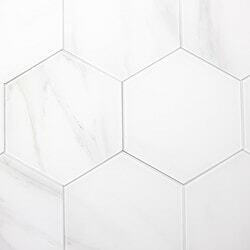 Nature 8" x 8" Glass Hexagon Tile in Calacatta White/Gray Veins are a twist on a traditional classic tile. 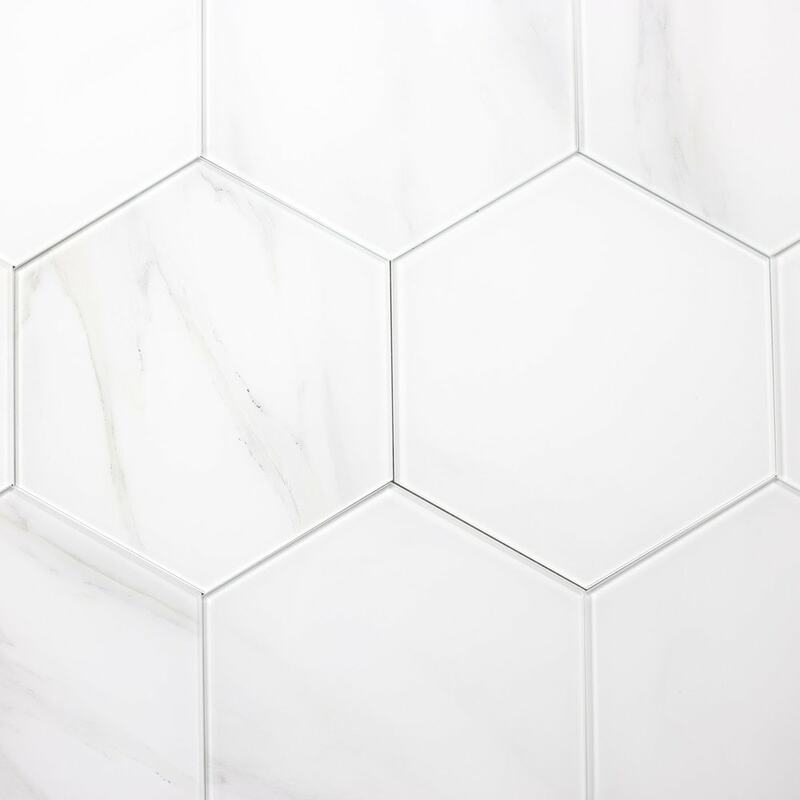 Now you can bring essence of nature indoors with this decorative tiles. Get feeling of outdoors from comfort of your own home.